This edition of AI Newsletter is a mix of industry trends, management tips, staff news, Interns’ and Host Organisations’ profiles, providing you with a diversity of subjects and insights which truly reflects what we are trying to achieve here at Australian Internships. As a manager, you know how challenging it is to manage, inspire and supervise your team. Here are some tips to help you! Great leaders remind themselves regularly that actions speak louder than words. If you want your employees motivated, punctual and productive you need to show these qualities in yourself first to inspire them. This is known to be one of the biggest differences between a leader and a boss. A good leader knows how to listen to their team, share content and is always comfortable in giving credit to others. A humble leader is appreciative of the input of others into his or her leadership and this way builds the reliability of the team. Make sure to listen to what your team has to say as you would like them to listen to you. Team members are more willing to trust a leader with whom they are able to openly communicate. Trust in your team and delegate. Delegation helps staff members become more engaged because they are exposed to new challenges and given a chance to learn. You need to know their limits and let them be free to create and be proactive. You will surprise yourself at how motivated people can be when they feel that their bosses believe in them! We have all been given advice telling us that we need to keep our emotions separate from the business. A company is not made up of numbers but people; we should be allowed to express ourselves. Of course there are limits, but you need to know how to use your emotions intelligently to be sensitive with each situation to make the best work environment for your team. So when considering the best options for the company, you can never forget your heart. The company works in partnership with government agencies and industry bodies at a local, state and national level, to strengthen the voice of tourism in all relevant policy forums. Their membership comprises of more than 3,000 regional members (individual and corporate) alongside 13 Regional Tourism Organisations (RTOs) and 18 industry sector associations. QTIC operates and hosts the annual Queensland Tourism Awards, the state’s premier industry recognition program for outstanding contribution by organisations and individuals within our tourism sector. Hosting international interns at the Queensland Tourism Industry Council (QTIC) allows us to provide valuable on-the-job experience and training in an Australian setting. QTIC receives numerous benefits in return for hosting international interns, including the work and time they contribute to helping achieve our organisational goals as Queensland’s voice of tourism. Existing QTIC staff enjoys meeting, working with and mentoring the international students which has a flow-on benefit for a positive and inclusive workplace culture. The presence of international interns also allows QTIC staff to learn more about international cultures and languages from the interns who are all happy to share insights into their lives and communities “back home". QTIC has had the pleasure of hosting many exceptional interns. Currently, we are hosting interns from India, Russia and Mexico which has certainly brought a diverse mix of cultures and languages to our workplace. While the students are learning about the Australian culture and way of living, they are also sharing with the QTIC staff about their own interests and culture. It has been particularly interesting to learn about the foods that our international interns cook for themselves and bring to the office for lunch. Many interns are happy to talk about their foods and favourite recipes, with some interns even bringing samples of food and sweets from their home country to share with the QTIC group. QTIC is a not-for-profit organisation and we appreciate the support that Australian Internships can provide in sourcing and supporting our international interns. Having another organisation assist us with this process saves us time and we know that the interns will be supported during their time with QTIC. He has been and continues to be a pleasure to have as part of the workforce, he is communicating very well indeed. He has been a valuable addition to the team offering valuable contribution to a range of significant projects we are working on. His written and verbal communication is very good, and he has assisted in a range of tenders and presentations across the whole of the business. 2. Please advise of some of the tasks that he has been completing. Jose has been working very closely with our Workplace capability and planning team on a range of projects. a. A state wide tender document for the Skilling Queenslanders for Work program. b. Analysing data for the Indigenous Champions state-wide network and presenting back via a report. c. Working on Capability statements and business plans for the development of a Consulting Business for QTIC. d. Heavily involved in the re-design of the Tourism and Hospitality Careers Guide due for publication and distribution in June. e. Has worked with the team on building capability around the Salute to Excellence program, a recognition and reward initiative of QTIC’s to recognise excellence in Tourism and Hospitality in high schools for year 11 and 12 students. 3. How would you rate his overall performance to date? Jose is a delight to have as part of the team, he has gained exposure to several other people from other countries and we count ourselves lucky to have such a diversity of cultures which adds to the fabric of our organisation. He is very committed, hardworking, focused on results is an excellent team player, offers ideas and time freely. He has good research skills and is proficient with most Microsoft products. I have no hesitation in saying his performance has been excellent. Australian Internships are pleased to present Joon Seong. Joon has recently completed a Bachelor of Civil Engineering from Monash University and is seeking any sort of practical experience within Civil or Structural Engineering .Joon is currently in Melbourne but is flexible to do his internship within any location. Joon is proficient in a wide range of computer skills and would be a valuable team member to any host organisation. Australia acknowledges the need for skills development to succeed in Offshore Trade. The Australian Export Council of Australia launches an international skills development program to support the trade agenda in light of identifying crucial developments needed to build Australia’s trade with international opportunity, proposing a development program for capacity and capability to capitalise on the many available opportunities. The program is designed to provide the skills and knowledge deemed necessary to function in international business administration and management and are partnering with several recognised Australian institutes to deliver the international trade education. The development of these programs are reflective of independent analysis of trade development programs in the United States and United Kingdom which revealed that investment in skills and development programs can deliver a positive ROI and increase export activity. Vivid Sydney is a FREE festival that you won’t want to miss! The 23 day festival is based in Sydney’s CBD and really brings Sydney to life! 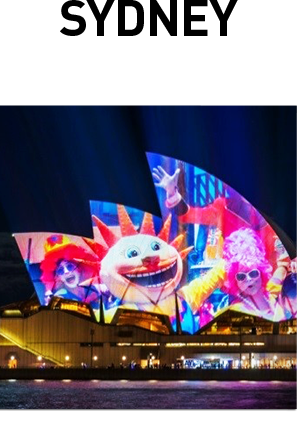 Through light art and music, Sydney is transformed into the world’s largest outdoor art gallery! The event runs from 27 May – 18 June. Winter has begun and what better way to celebrate winter than spending a night at Federation Square. Experience a night of excitement and entertainment! 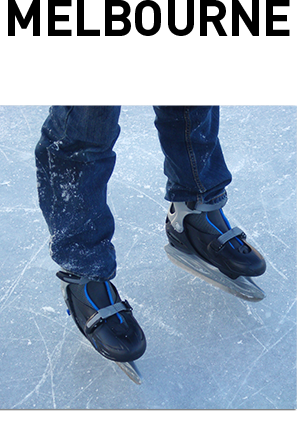 You will have the opportunity to get your skates on and enjoy the beautiful views of Melbourne whilst ice skating on the only outdoor ice rink in the city centre! Art, Music and performances are also part of the vibrant program. It will be on everyday from 1 June – 17 July.